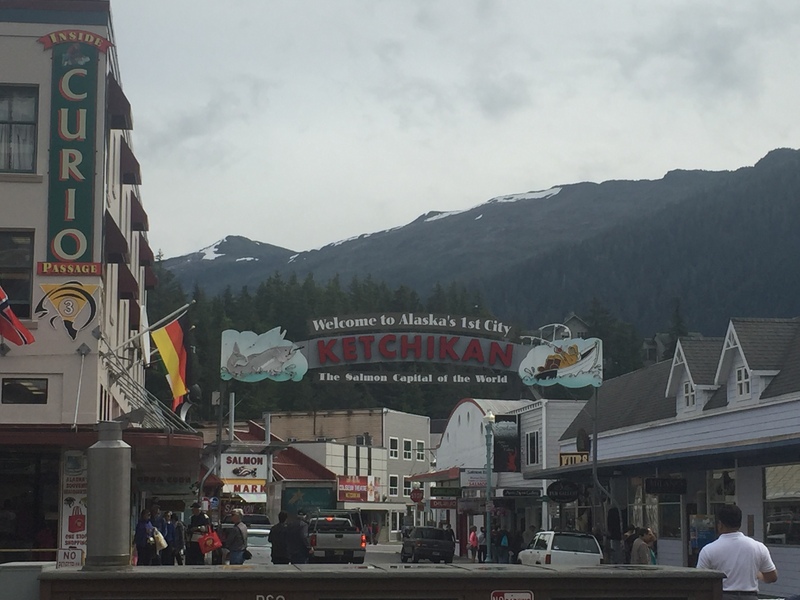 In Ketchikan we were greeted by an onslaught of tour guides advertising their excursions. 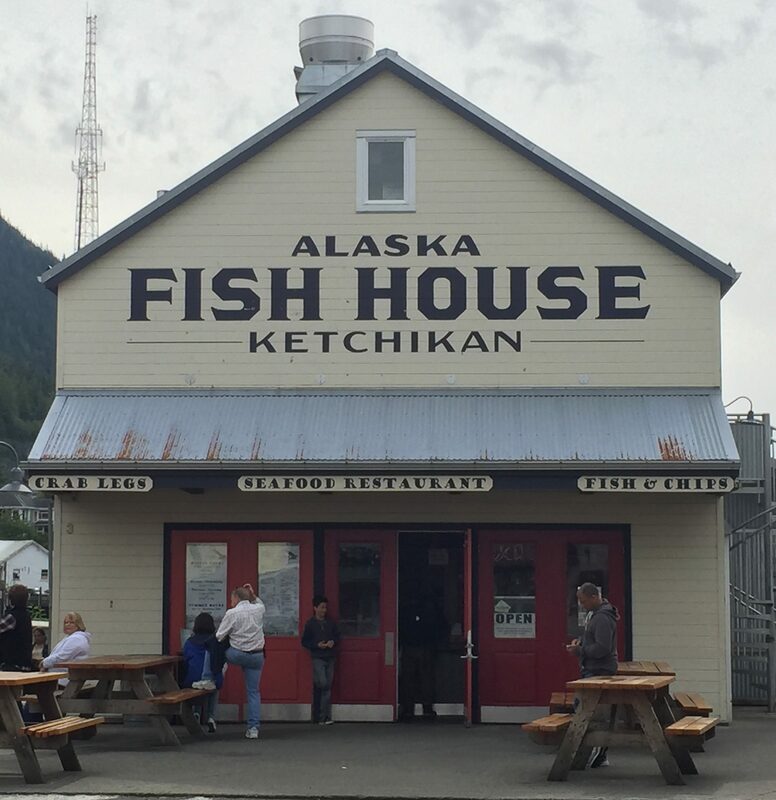 Beyond them were dozens of gift shops selling similar items – t-shirts, Alaskan chocolate (actually made in Canada), totems & Christmas ornaments. It all felt very superficial, catering to the cruise ship crowds. And there were plenty of us! Three large ships docked in a row. Past the tchotchke shops lies Creek Street with its bawdy past and authentic vibe. Several homes have been turned into tourist attractions with information posted outside providing insight to the history of the building and the city.